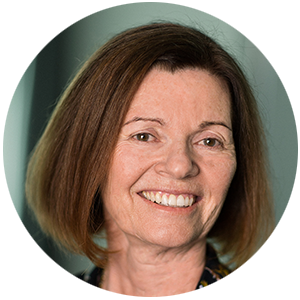 Beth Concoby has responsibility for leading Global Product Stewardship and Sustainability programs in the DuPont Industrial Biosciences (IB) business. Beth leads initiatives across multiple IB business units to integrate sustainability and product safety principles into business processes and innovation work streams. As an important input to Dupont’s sustainability strategy, Beth works cross-functionally on customer collaboration efforts to design and produce innovative products that advance DuPont and customer sustainability goals. She is an active member of the Dupont Sustainability Leadership Team that is working to establish corporate sustainability goals and targets for the new Dupont. Beth joined Genencor (DuPont acquired 2011) in 1986 and was responsible for developing and leading the sustainability programs at Genencor since their inception in 1998, including implementing sustainability management systems, internal and external reporting, and integrating life cycle thinking across the business. Beth also led Genencor’s Environmental Health and Safety function from 1986 until 2011. Beth has served on many committees throughout her career advancing sustainability and product stewardship. She is a strong leader in many trade associations and consortia where she has helped to advance the safe use of enzymes while also promoting enzyme sustainability attributes in various industry applications. Beth earned her MPH degree in Environmental Science from the University of Michigan and her BS in Environmental Health at University of California, Davis. She is a Certified Industrial Hygienist.